Did you know that our prayers are like fire that burn up the enemy? We have power through prayer. Not only that our prayers are like hammers that breaks the rock. The Lord is afraid of our prayers because the fire burns them. Join us every Tuesday night at 10:00 p.m. every week. 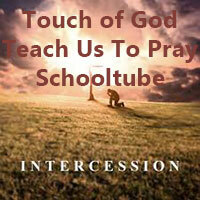 I do 10 to 20 minutes of teaching and then pray. My heart is to see people touched, headed and delivered. Join this group. Fill out the prayer request: https://goo.gl/forms/D8bkbPhv7fVAdmgs1. Join us on Miracle Healing Service Group on Facebook – 1st Sunday of each month at 8:30 p.m. central standard time.